A strange thing happened at the World Series of Poker in 1986. For the first time in its history the first-place prize of the main event shrunk from one year to the next (this has only happened again one other time, between 2006 and 2007). The field in the main event only grew by one participant in '86, and on top of that the prize structure was flattened out even more to include players who finished outside the final table for the first time (10th place and 11th place). Preliminary events were won by some players of note, including Hamid Dastmalchi ($1,500 no-limit hold’em), who continued to do well after making the main event final table the year before, Jay Heimowitz ($1,500 limit hold’em), Tom McEvoy ($1,500 razz), and Barbara Enright who won the $500 ladies seven-card stud event. The final table of the world championship included two players from the year before in defending champion Bill Smith, and the third-place finisher from the previous year, Berry Johnston. Also at the final table was perennial final-table threat Jesse Alto, as well as Gary "Bones" Berland. Rounding out the final nine were Roger Moore, Stephen Lott, Jim Doman, Tom Jacobs, and Mike Harthcock. Note: Dewey Tomko just missed his second final-table appearance, busting in 10th place. By the beginning of day 4 that year six of these players remained (Jacobs, Doman, and Lott had fallen the night before). Harthcock drew first blood when he sent Moore to the rail, and Johnston got into the act by sending the defending champ home when Smith ran into his full house. Johnston then woke up with A-K against the A-Q of Alto, and once again Alto was knocked off a final table in a way that can only be described as cruel and unusual. Johnston kept his momentum running at full force when he sent home another strong player. This time it was Johnston who held A-Q, but is was more than enough to dispose of Berland and his dominated A-8. Johnston had disposed of three big-time players in a row, and now only Harthcock stood between him and the bracelet he had come so close to winning the year before. Harthcock didn’t bring too much ammunition to the final gun fight though, and on the second hand of heads-up play the last of his chips went into the middle. Johnston gladly called him down with A-10, and he once again had his opponent dominated when Harthcock mustered a suited A-8. The board missed both players and Johnston won the world championship on the power of his kicker. 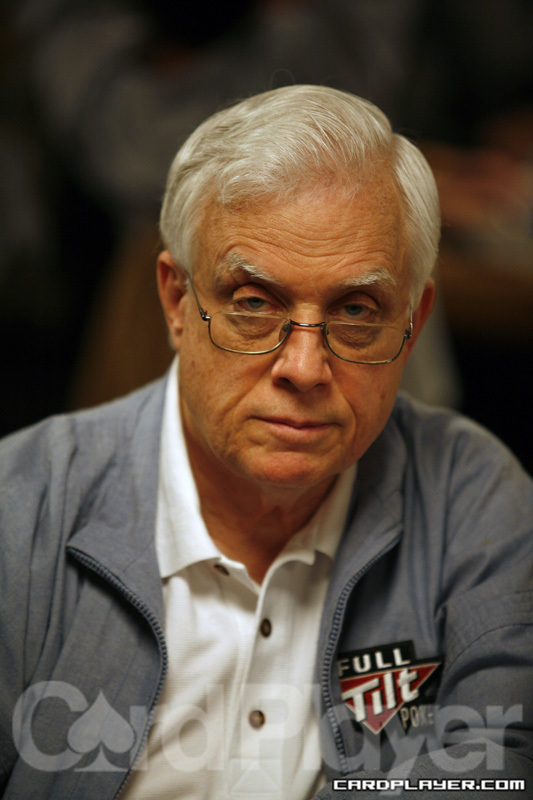 Johnston has gone on through the years to attain the one attribute that poker players are judged upon before all others - sustained success and results. Johnston now holds five gold bracelets for his career and he currently sits in the top five all-time for cashes at the WSOP. After the win in 1986, Johston said, "Winning the World Series of Poker title was more important to me than the money."